Original corrugated metal decking was leaking and not offering much protection from the weather. Additionally, without a sufficient R-Value, the metal deck was not energy efficient. The extremely busy dealership had to stay open throughout the renovations. Lastly, the mechanical room did not have proper drainage along with many penetrations, wires, pipes, and 15 foot walls, making it a difficult area to roof. 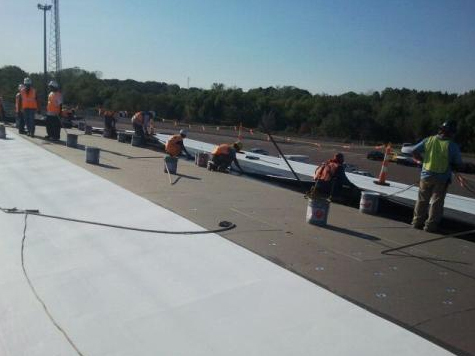 Loose laid flute filler was installed within the corrugated metal roof panels to provide a smooth, solid surface. 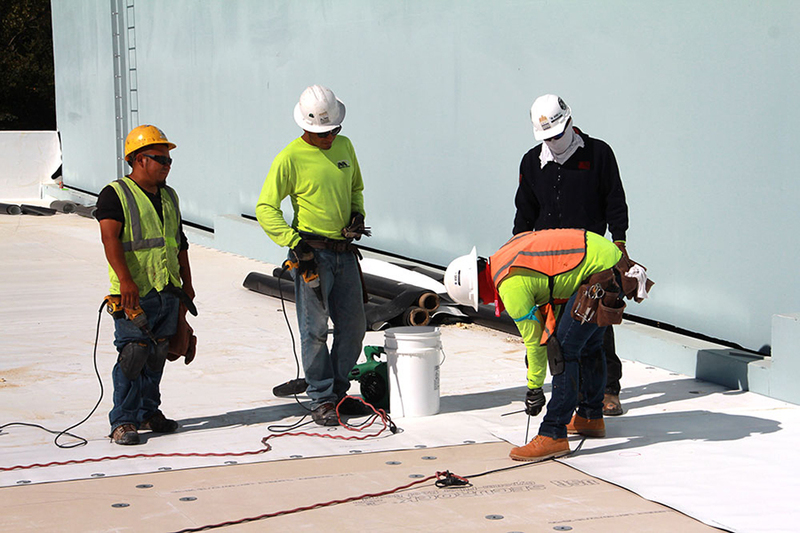 1.5” polyiso was mechanically fastened, along with a 60 mil Carlisle TPO Roof System and a 20 year manufacturer warranty was provided. 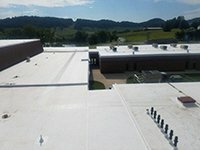 Because the internal gutter system around the perimeter of the building was now filled with insulation, commercial 6” Kynar coated gutters and downspouts were installed. 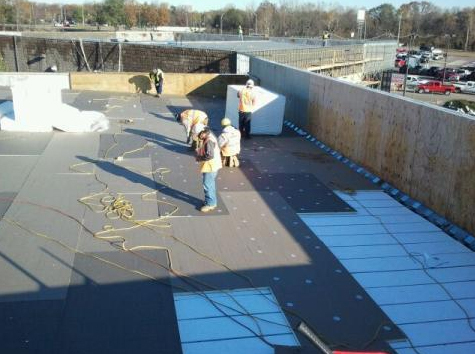 The roof installation was done in phases and the open service bays were rotated to ensure the dealership was able to stay open throughout the entire project. 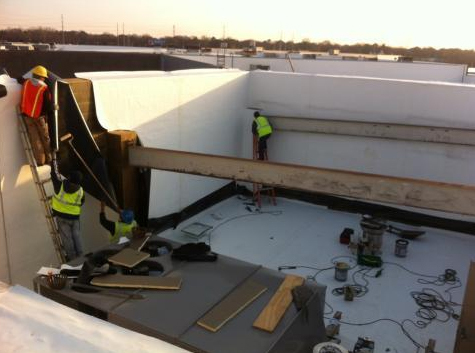 Drains were installed in the mechanical room to correct the ponding water issue and the TPO membrane was brought up and over the wall.